I knew we needed an extra-ordinary person to capture Esra's light. I immediately thought of Shawni. 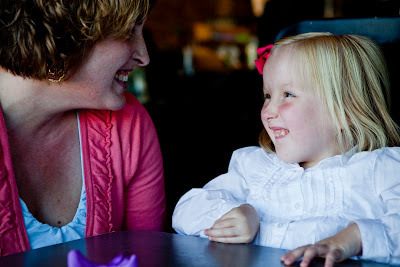 For awhile now, I have been reading her blog and finding inspiration from her own experiences raising a daughter with a rare genetic disorder. And she has blog posts just dripping with gorgeous photography that are effused with light, love, and balance and boldness. I knew her skill behind the lense would make the difference for this article and a few other projects we have at Esra's Trust. She no longer does professional photography, so I took a deep breath and pressed send on my polite request for her help in making this BYU article stand-out. As a fellow alumna, I hoped that she wouldn't think twice about helping us out. She agreed, and we set a date. But the real miracle about this all, is that I had never met Shawni before the day of our scheduled photo shoot. She was a gem as she coaxed the girls smiles out in the record-breaking heat of the Arizona desert. We felt at ease as we chatted and got to know her better. Thank you, Shawni, for such a extraordinary moment where we could celebrate Esra's miraculous story and capture that immense light that she willingly shares with all she meets.